Get your FREE paper cat pattern HERE. 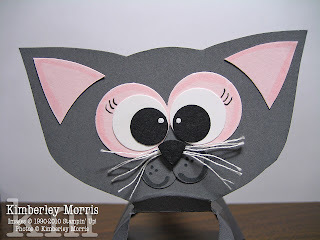 This is one of the greatest pattern finds ever for me because I just LOVE kitties, and I just LOVE paper crafting! You can decorate it any way you want, but I have to say that using punches is what made this so quick, easy, and adorable to me! No allergies will be invoked by this kitty, and no litter box is necessary (though you could make a cute paper one just for giggles if you are twisted like me). This was my first attempt playing with it, and I was so cuted-out that I had to stop RIGHT NOW and get pictures after just making the face. I can't wait to bling it out with a kitty collar and other accessories. Too fun, and too cute--you could even make your own black paper kitty colony for Halloween! 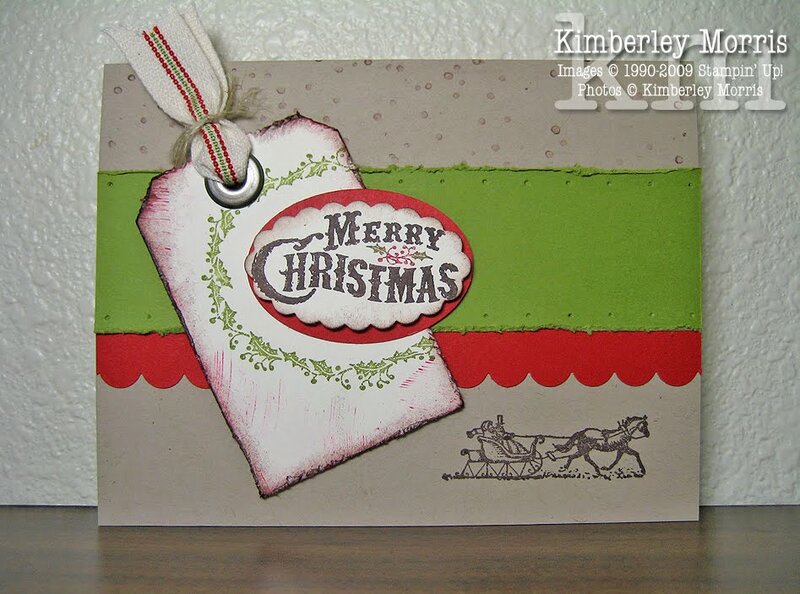 Stampin' Supplies: Basic Gray card stock & marker, Pink Pirouette card stock & marker, Whisper White card stock, Basic Black card stock & marker, White Unigel pen, 1" Circle Punch, 3/4" Circle Punch, 1/2" Circle Punch, 5 Petal Flower Punch, Bone Folder, Paper Snips, Mini Glue Dots, Stampin' Dimensionals, white embroidery thread (non-SU!). By the way, sorry for being so MIA lately...my 10+ year old computer is on its last leg and is SOOOO slow and it's been a challenge getting anything done with it. I'm getting a new one SOON...I'm so excited! It's that time of year again...on October 2nd I'm participating in the Fourth Annual Stampin' for a Cure™ event in Colorado Springs! 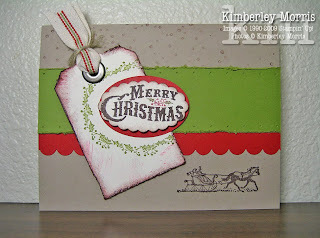 For the last few years, a local group of Stampin' Up! demonstrators has organized a day of card making--on World Card Making Day--to raise funds for the Susan G. Komen foundation. This will be the second year I have had the privilege of participating. We'll have two sessions to choose from, one from 9am-12pm and another from 1pm-4pm. You can find out more about our event HERE and register to attend [Deadline is September 26th-you should call or email me ASAP to let me know if you are registering after that], or even make a donation to our fund raising if you'd like to help out but can't make it to our local event. This year we are doing 7 projects, for a $25 registration fee. The demonstrators provide all the supplies for the projects (and some extra pretties for the registrants!) out-of-pocket, as their contribution, so that ALL $25 of each registration is donated to the foundation. There are also silent auction items donated (many of them handmade and/or one-of-a-kind), and all the proceeds from those items go directly to the foundation as well. There's food, door prizes, and even huge grand prize baskets...everyone has a BLAST while helping out a worthy cause, so if you're going to be in town on October 2nd, please think about joining us. Tote-ally Cool Tote - FREE! There's still time for you to get a FREE Greenhouse Gala Craft Tote (pictured above). 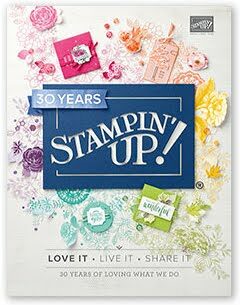 When you SIGN UP TO BECOME A STAMPIN' UP! DEMONSTRATOR (use my Recruit Auth. Password: newdemonstrator) between September 1 and October 18, 2010 (while supplies last), you will get the Greenhouse Gala Craft Tote ($39.95 value) FREE with your Starter Kit. • Dimensions: 15-3/4" x 7-5/8" x 8-7/8"
*Supplies pictured are not included, but are representative of Starter Kit materials you could carry. Carry all your Workshop project supplies and tools in one bag! HURRY--act now while supplies last!